Low back pain is often triggered when bending over. Or, if you have it already, your low back pain is made worse. I have been talking to some patients about this over the last week and so thought I could spread the word – and tell you what you can do about it. Group 1. Those already with low back pain. So, their back pain is made worse when they lean forward. This occurs when they are doing things like the washing up or leaning over the side of a cot. Group 2. Those with no back pain. The forward bending actually was the cause of the back pain. In my years of doing this, and having some horrible low-back pain at times, I think that it is all about the joints. Why do you get back pain when you bend over? The reason for this is that forward bending is really challenging for your low-back, even if it is working well. Imagine that instead of you being your upper body you were a plank of wood cut out in the shape of your body. Now, tilt that plank forward by 6 inches at the top, so as though you are washing up or shaving, whilst holding it at the very base. Imagine the force you would need to apply at the base to stop the plank falling over. And now hold it for 20 minutes. Your low lumbar is a class 3 lever system. 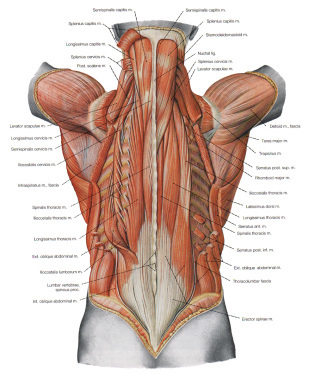 The fulcrum point for this is around the low-lumbar area of your back (at L5 and S1). The power comes from the muscles around your pelvis and low lumbar region all working in support of some pretty strong ligaments. Now, you are remarkably well built, and for most of us this action occurs daily with no real problems. Your low back joints can handle the loading – just like your ankle joints do, all of the time, whilst you stand on them with no pain. And your muscles can also handle the strain – though not for too long. So why does it hurt? For Group 1, your low back joints will already be slightly injured. If you need an example of this, think of these joints as though they were sprained ankle joints but in the low back. Any additional compression over these will hurt, just like it does when you twist a sprained ankle joint. If you are in Group 2, you will have had a momentary dip in control over the low back and injured these joints. This is called the ‘unguarded moment’ and is made more likely if your core stability is low. This is one of those sorts of injuries you get from lifting the shopping out of the back of the car or playing that extra hole of golf. Typically, these will hurt like anything! But what about the muscles? In both these cases you will get muscle pain. However, this pain is as a result of muscle guarding not muscle injury. It is really difficult to strain low-back muscles. Yes, you’ll hear loads of people saying that’s what’s happened, but I bet you 20 pence it hasn’t and have a look here if you want to know more. A way of seeing this in action is to recall those people coming into work with an acute neck sprain/strain. Now, they are unable to move their heads left or right, even a couple of inches. The reason? It’s bloody painful (the joints) and their neck and shoulder muscles just won’t let them move. These muscles will appear rock solid and painful but are not injured. What they are doing is working like crazy. They are being activated by their brain to hold their necks in one place. They are acting like splints (just like you’d do to an ankle) and just like you do in your low back. So, in you low back, you’ll get the large powerful muscles each side of the low back in spasm at times. Often, this will feel like waves of pain and tightening running up each side of the spine. It usually happens as you try to move. This jams the injured joints together and your body will hate that. Later on, as thing settle down you’ll get a dull, deep burn from these muscles as they work to stabilize your low-back to stop you re-injuring it. There are some underlying conditions that can cause low-back pain that need to be treated urgently so you should really consult your GP or see us as in the case of back pain. 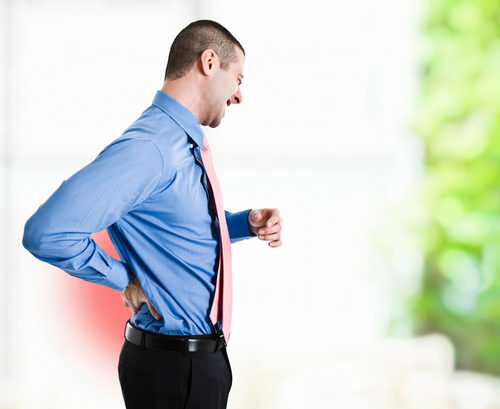 There are, however, some things you can do to relieve back pain once you know its cause. Have a look here at our back pain First Aid. It’s easy and very effective. Then, prevent it happening. Learn how to bend properly. It may seem mad but there are good and bad ways of bending. Don’t keep your legs straight and bend over at the pelvis and waist. This puts strain and pressure on your back. Instead, bend your knees to lower your whole body down into a squat position, and keep your back straight. 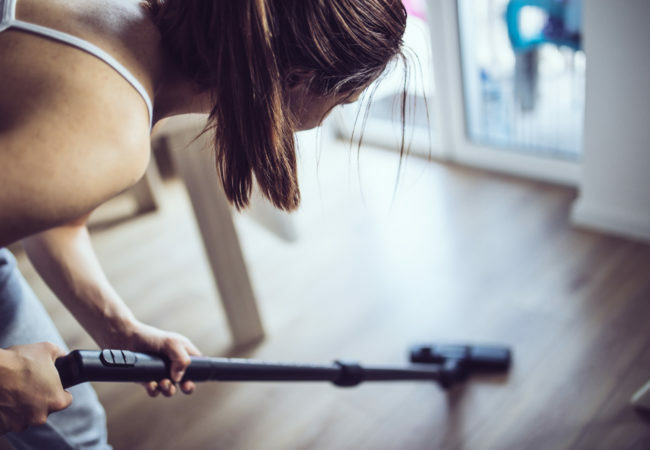 This is especially important when lifting heavy objects as it allows the muscles in your legs to help lift, not just the muscles in your back. Improve the stability of your low back. This is vital if you want to prevent it all happening again and again. This also strengthens the muscles in your back and pelvis to give you better support. The best exercises for this are squats or planks. Have a look at this gem of a page on Core Stability if you want to know more.